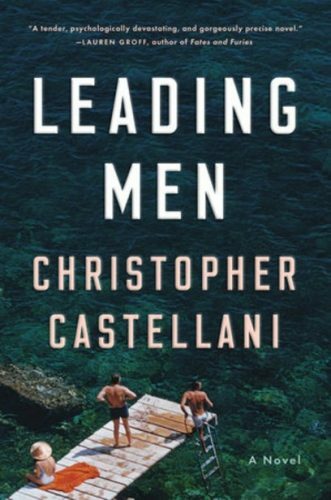 Boston-based novelist Christopher Castellani’s fourth novel, Leading Men, is a fascinating examination of one of the mid-twentieth century’s most intriguing gay love stories, that of playwright Tennessee Williams and his lover, Frank Merlo. 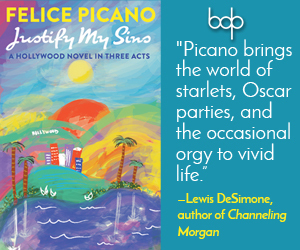 Castellani intertwines both fact and fiction to bring the lives of the playwright and his partner to life, along with an extraordinary cast of characters both real and imagined. Recently, Mr. Castellani was kind enough to answer a few questions about the process of writing this ambitious novel. Leading Men contains such a marvelous sense of time and place. The novel really brings alive Italy’s Mediterranean coast during the 1950s, when tourism there was still something rarefied and available only to ‘those in the know.’ Why Italy, why this time and place? Tennessee Williams and Frank Merlo, the couple at the center of the drama, spent some of their most memorable–and, arguably, the happiest–of their 15 years together in Italy, where they frequently summered. Frank was Sicilian-American; Tennessee has a particular weakness for Italy and Italians, and places like Rome and Portofino and Taormina and Ischia provided endless opportunities for all sorts of connections with other writers, artists, actors, and socialites. I always knew I wanted to write about their time there, but it wasn’t until I read Williams’ journals from July 1953, as well as two letters he sent that July–one to Maria St. Just, and one to David O. Selznick– that I knew I wanted to zero in on that particular summer, which was a very stormy and pivotal one in their relationship. Williams’ letters perfectly expressed his deep love for Frank as well as his agonizing frustration with his restlessness and his affair with a Roman named Alvaro; they also mentioned a party in Portofino to which Truman Capote had invited them, and their resentment that Capote had expressly disinvited their beloved dog, Mr. Moon. I noticed that the entries in Williams’ journal soon after those letters–early August 1953–were blank. Did they attend the party? Did things get sunnier or stormier in Portofino? Whom did they meet there? I wrote to find out. Your novel features an eclectic cast of characters, some drawn from the arts scene of the mid-twentieth century and others works of imagination. What compelled you to mix the two? How did that device better serve your narrative? My original plan was to write a short novel about two great gay writers from the perspectives of their long-suffering partners: Frank would tell his story of life with Tennessee, and a guy named Sandro N— would tell his story of life with John Horne Burns, the author of 1947’s The Gallery, a Great American Novel most Americans have forgotten. Burns was living in Florence at the time, drinking himself into oblivion at the Excelsior Hotel, and his death in Liguria on 11 August 1953 fit perfectly into my timeline and into my thesis–too perfectly, in fact. The novel’s structure was essentially a “compare/contrast” of the two couples, but this formulation came to seem too neat, too “true,” and, somehow, less than the sum of its parts. I already knew the answers and what I wanted to say, and there’s no greater danger for a writer to be in than that. I realized I needed a character to function as what the great Charles Baxter calls a “Captain Happen”: someone who would shake things up, who could say things the other characters could not. My gut told me this character could not be a real person, and that the mixing of fiction with the “fact” of Williams and his set would give Leading Men the blur of illusion and reality the characters themselves would not only understand but embrace. As writers and actors, they lived in this blur of illusion and reality; it was the condition of their lives. Frank and Tennessee share a deep love in this story but ultimately Tennessee fails Frank when he is most in need. How was it more compelling, for you as an author, to explore that failure of a great love rather than its romantic triumph? What lesson is there to be learned from this? I don’t think there’s any sort of love lesson to be learned here, or that fiction is the place to turn to for such lessons. All I could do as the author was immerse myself in Frank and Tennessee’s letters and journals and the creative work Frank inspired, and then interpret the nature of their relationship with as much insight and empathy as I could. My primary interest was not the dissolution or “failure” of their relationship, or to valorize them as some model of devotion and fidelity, but that double invisibility in which Frank lived, and how it affected the power dynamics of their relationship. By double invisibility, I mean, first, the traditional closet, because even though Frank and Tennessee were not in hiding as a gay couple, they certainly weren’t celebrated in the press as the next Bogie and Bacall. Secondly, Frank was always in Tennessee’s shadow, often dismissed as merely the latest in a series of companions, or a hanger-on, or worse. He became known as the life of the party, but when he was beside Tennessee, it was Tennessee on whom people shined their light, and I worry that he was often reduced to the role of court jester. I was deeply interested in the various ways–some might say codependent ways–they needed each other, and how that codependence was the condition that allowed for Williams’ art to thrive. One of the most unique challenges for you as an author must have been the imagining and “reproduction” of a fictional, lost Tennessee Williams play. In an important plot point, one character, the actress Anja, is convinced to come out of seclusion and produce, direct, and star in the play. She only pulls it off by turning the whole production on its head. What was it like, as an author, to reproduce a fictional piece in the voice of such a legend? I put off writing that play–which I called Call It Joy–for as long as I possibly could, almost convincing myself that I didn’t need its full text in the novel. But given how much of Leading Men’s plot hinges on its production, and, given the opportunity it gave me to let Williams “speak” about Frank one final time through this imaginary work of “art,” I knew I had no choice but to include it. In retrospect, it would have been cowardly not to give readers the play in its entirety. I hope Williams fans and scholars will forgive me for my audacity–that they will see Call It Joy not as a parody but as an homage. 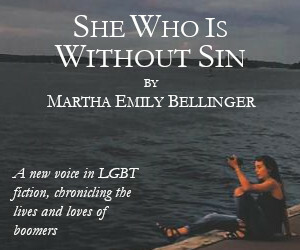 I wanted the play to mean something different to each character: to Tennessee, to Anja, and to the young men who convince Anja to mount it in Provincetown. The way Anja saves the play is one of my own favorite moments of writing the book, both because it came as a complete surprise to me–honestly, I didn’t know it was going to happen until I saw the words transmitted through my fingers–and because it gave me a reason to come up with a fun drag name. Did anything you read or watched or experienced inspire this novel? As I say in the author’s note, this book owes its existence to a memoir by Dotson Rader and the film Gods and Monsters. The memoir, Tennessee: Cry of the Heart, is where I first met Frank Merlo on the page; around the same time, I stumbled upon Gods and Monsters, based on the wonderful book by Christopher Bram, which gave me the permission to make real people, real queer people I must specify, into characters. In the years after, as I was drafting various failed versions of Leading Men, I read other queer books that extended that permission and opened up all sorts of possibilities as to what a novel could do in this blurry fictional space: Colm Tóibín’s The Master, about Henry James (the scenes of James sleeping with Oliver Wendell Holmes is still one of my favorites in all of fiction); Monique Truong’s The Book of Salt, about the gay Indochinese cook who worked for Gertrude Stein and Alice B. Toklas; and Michael Cunningham’s The Hours, which inhabited the swirling mind of Virginia Woolf. For my book, I wanted the intellectual heft and gravitas of The Master, the stunning lyricism and lushness of The Book of Salt, and the inventiveness, expansiveness, and emotional gut punch of The Hours. I’m not saying I achieved all that, only that these qualities are what I admired most in these extraordinary novels. Do you think there was any redemption for Tennessee before his own death? That’s a fascinating question, but it’s not for me to know or to say, and it’s not within the scope of this book, even though, in Chapter 6, we do meet Williams just a few months before his death. I don’t want your readers to endure my own speculation; instead, I encourage everyone to check out John Lahr’s extraordinary biography of Williams, Mad Pilgrimage of the Flesh, which reads like a great novel, and which illuminates the many sides of Williams I didn’t explore in Leading Men because I’m never in his head. I also encourage readers to spend a little time with Williams’ strange, flawed, late plays, the ones he spent the twenty years after Frank died writing and trying to get someone to respect or at least acknowledge. There are no great hidden gems there, but they’re compelling documents of his state of mind, his instinct (often wrong) about what audiences wanted, his willingness to experiment, and his comfort with breaking from the tropes that made him famous. [But…] if you must know, I’d say there was a kind of redemption for Williams in the end, primarily because, as Anja reminds us late in the novel, he kept writing through grief and loneliness and failure. He kept writing even though he went into a long, dark depression, one made worse by his intense drinking and pill-popping. He was like a stonemason, though, Anja says: through it all, “he showed up each morning, got down on his knees, and he worked.” He never gave up. He was always going to make a comeback with the next thing, or the thing after that. And in his Memoirs, messy but starkly candid, he did try his best to catalog Frank’s goodness, and to express what he meant to him; and, in his own way, he owned up to his reasons for emotionally abandoning Frank in the final years of his life. 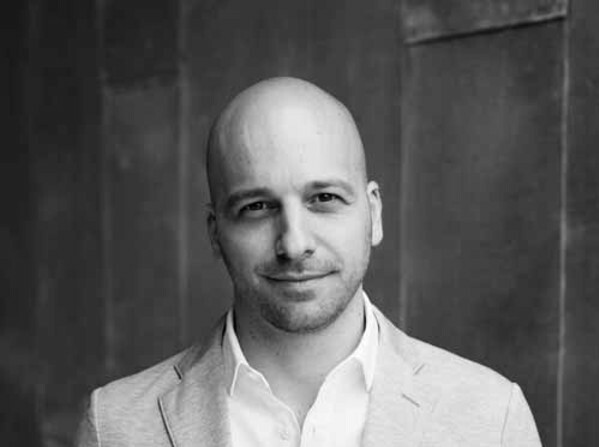 Thank you for the very interesting interview with Christopher Castellani. I found his comments about Tennessee and Frankie fascinating. Mr. Castellani is a man with great gifts as a writer. He is also a man with a sympathetic heart. He says that Frankie and Tenn lived in the blur of illusion and reality. I think the blur was largely the result of drugs and booze. The reality was created by Tenn’s self-indulgent paranoia, something he deliberately exaggerated at times when it was useful to him. At the end of each man’s life the true reality of his character was revealed, unclouded, undisguised. Of the two men, I believe Frankie was the least selfish and for that he paid a terrible price. In regard to Tennessee’s “Memoirs”, about a third of what he wrote was redacted by Doubleday’s lawyers or cut by the editors, largely due to a need not to offend book buyer needlessly, particularly people who do not approve of queers. It pissed him off. My congratulations to Mr. Castellani on his extraordinary novel. John, what a great interview! Loved that it stayed in the present –as in Leading Men. Well done!